Healthy and beautiful skin creates self-esteem. Dr. Magdalina Gyurova’s Dermatological Clinic offers competent assistanse for all cutaneous and aesthetic problems. Individual therapeutic regimens are made. 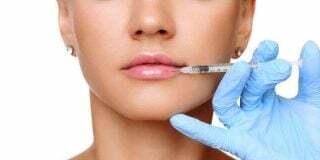 Skin rejuvenation, neck, arms, restoring youthful oval face, sensual and full lips, body shaping – all this becomes reality at Dr. Magdalina Gyurova’s Medical Clinic. Restore your perfect look with the most advanced laser systems for health and beauty. Laser hair removal is a proven means of permanently reducing unwanted hair on any part of the face and body. Fresh and youthful skin is not an asset of women. In recent decades, men show a growing interest in anti-aging procedures and treatments for healthy skin. Their desire is to stay natural and young. The shining smile of your baby is related to the comfort of baby’s gentle and soft skin. Professional care of our team will help you protect your baby’s skin from irritants, causing redness, rash and allergies. The skin of growing up is thinner, which creates prerequisites for facilitating her injury and irritation. The treatment of skin infections, congenital and inherited skin diseases, diseases of nails and hair are condition for a happy childhood. Dr. Magdalina Gyurova’s Dermatological Clinic offers competent assistanse for all cutaneous and aesthetic problems. Individual therapeutic regimens are made. 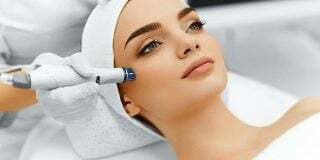 Laser hair removal, laser treatment of vascular lesions, laser treatment of acne and rosacea, laser skin rejuvenation, fractional ablative CO2 laser treatment of large pores, deep acne scars and others. HIFU is a state-of-the-art technology offering a truly non-invasive alternative to a surgical face and neck lift, skin tightening, destroys intractable fat cells and gives younger look. Acne is a disease of sebaceous follicles, resulting in increased sebum secretion, abnormal keratinization of the follicle and formation of comedones, inflammatory papules, pustules, abscesses, and scarring. 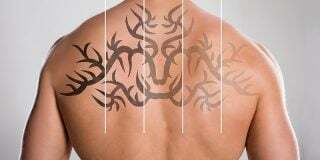 Many people who have tattoos or permanent makeup want to remove them. It is because they are no longer liked, poor or replaced. Microdermabrasion is a relatively new, fast and non-invasive procedure used to resurface the skin by gently removing the top layer of cells. We guarantee individual and personal care that suits your needs and expectations and begins with individual counseling at our clinic. Cutaneous neoplasms may be different in the manner of flow (benign and malignant) and diverse according to their origin. Most prevalent among the benign are the moles (melanocytic naevus), fibroids, papilloma warts. Are they harmless? Can they degenerate? Despite progress, medicine is still no detailed responses to the emergence of tumor formations. The main reason for the spread of skin cancer is uncontrolled exposure to sunlight and UV radiation (tanning), emphasizes Dr. Magdalina Gyurova, who has defended her doctoral thesis in the field of Dermato Oncology. Should not be underestimated some other environmental factors (chemicals, chronic inflammation, some viruses) as well as the individual characteristics – light skin, a tendency to burn easily etc. The choice of treatment depends on both the type of entity and the possibility of obtaining subtle and inconspicuous postoperative scar. 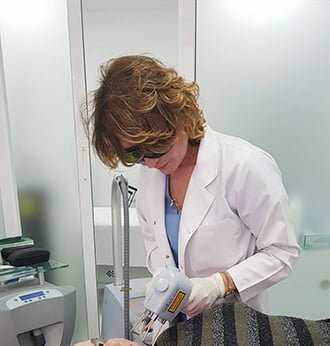 Dr. Magdalina Stoyanova Gyurova is a specialist in Dermatology and Venereology and Chief Assistant of the Department of Dermatology and Venereology at the Medical University – Plovdiv. She is a member of the International Academy of Cosmetic Dermatology (IACD). She graduated from the Medical University in Plovdiv in 2008. A year she worked as a doctor-intern in the emergency room in the town of Haskovo. In 2009 she became a post-graduate student at the Department of Dermatology and Venereology. Since 2010 she works at the Medical Center „DERMAPLUS“. She has certified courses to work with lasers, mesotherapy, fillers. In 2008 she graduated from the Medical College in Plovdiv with a bachelor’s degree. Since 2009 she has been working at the Medical Center „DERMAPLUS“. In 2010 she graduated from the Medical College – Plovdiv with a bachelor’s degree. Since 2014 she has been working at the Medical Center „DERMAPLUS“. In our clinic, you will find some of the most qualified professionals ready to go beyond your expectations. Cellulite does not cause pain, but it is a problem of female beauty. The procedures are painless and relaxing. The effect can be noticed after the second treatment.